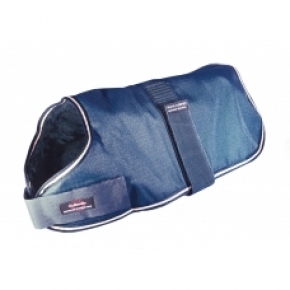 Outhwaite Polyester Blue fur lined Dog coat 30"
Home > Outhwaite Polyester Blue fur lined Dog coat 30"
This coat is waterproof, windproof and washable with a soft fur inner. It has a wide girth tape with a generous velcro fasten, to make sure it stays on your dog. Animate Outhwaite Navy Padded Dog Coat 26"
Outhwaite Polyester Blue fur lined Dog coat 28"